What internal control systems are currently in use? Do they include all the expected elements of internal control systems? Are internal control systems in the projects adequately documented and regularly updated as changes occur? Do the Banks that comply with recommended internal control systems realize their goals more often than those that do not? The internal control environment system is identified as the main cause of the business. The existence of smooth internal control environment is necessary for well achieving the business objectives. According to O’Leary et al. (2006), an adequate system of internal control is considered as critical to good corporate governance. The necessity of research on internal control is due to the inherently complex nature of the internal control environment process and this research spreads itself across a broad range of auditing, accounting and general business areas (Kinney Jr., 2000). Among earlier empirical research, Gadh et al. (1993) developed a prototype model for evaluating internal control environment systems. In reviewing this work, Houghton (1993) argues the Gadh et al. (1993) model does not deal adequately with the control environment element of the entity’s internal control structure. Similarly, Chang et al. (1993) developed what they termed an assumption-based truth maintenance system (ATM) to model auditor decision-making on internal control environments. 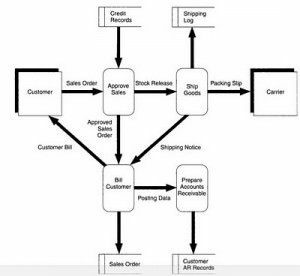 Again, this model mentioned but did not evaluate the control environment and the accounting information system elements and was deemed too narrow in focus. Another study conducted by Fowzia,(2009) investigated into the sound effects of diverse factors on co-operation between internal and external auditors of listed banks in Bangladesh. Findings revealed that co-operation promoted through management and the audit committee is the most important factor for assessing co-operation between internal and external auditors followed by professional confidence, co-operation and consultation, reliance on internal audit and communication. This results found consistent with our study in the sense that external audit committee is the important control environment variables of the banks. A sample of 210 listed firm of Taiwan by Jung-Hua-Hung and Hui-Lin-Han(1997) revealed that management attitudes, training and professional abilities of auditors are the significant control variables in achieving the efficient internal control structure of the firms. Very few studies of internal control were done related to the developing countries and especially in context of Bangladesh. One study can be found from Ali, Khan, Fatima and Masud (2008) that made attempt on the various aspects of internal control variables on Bangladeshi firms. They analyzed the responses of 25 corporate firms and found that only very few of them discloses and comply with the systematic control variables and the corporate governance aspects on a voluntary basis and little efforts made by tem in order to have an sound internal control systems.